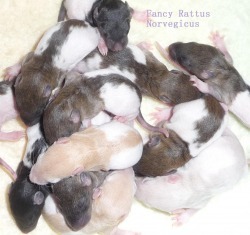 INFO - Baby pet rats for sale, Geelong Victoria. Breeding fancy and pets; common and rare breeds including Rex, Silk, Blue, Black Eyed White BEW and more. Males (Bucks) are bigger, fatter and more docile. They usually won’t wonder as far as a female when ‘free roaming’ and are easier to catch when it’s time to go back into their cage. Boys are usually more laid-back and a lot easier to handle. Females (Does) are smaller and more active. They are more likely want to explore than sit on your shoulder. Girls are more likely to come and greet you at the cage door than lazy boys. Girls enjoy playing and coming out of the cage. Both male and female rats make excellent pets. This is just a generalization, not all males and females are as explained. Rats need a variety of food which can include; lab blocks, you can get them from most pet shops or stock feed suppliers; Lab blocks were designed to be a complete and balanced diet for rats. The blocks were designed for rats in laboratories, it is possible to only feed rats these pellets, but they do get bored of the same food every day and not all blocks are of the same quality. Fruit and veggies are important part of their diet. 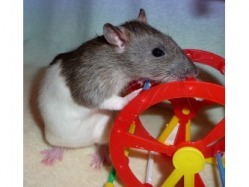 Other food that rats enjoy are pasta (cooked and uncooked), grains (rolled oats, bran etc. ), rice, egg, low protein dog food (dry and canned), tuna, chicken, etc. Avoid raw red meat, caffeinated drinks, sweetened breakfast cereal, and cabbage. It is best to have the biggest cage you can afford, rats are active little creatures and like to have room to run and have time out from the other rats. Large bird cages, ferret cages and large rodent cages are best. EBay is a good place to find cages. Rats will have to have their cage cleaned weekly to twice weekly depending on the cage and number of rats. Toys are easy made from toilet rolls, plastic cups, newspaper, old cut up clothes etc. Keep them out of drafty areas, ensure they have places to hide in their cage and make sure they don't overheat in hot weather and you will have a very happy and healthy little ratty. It is not a good idea to start breeding unless you are properly prepared. It is a lot of work raising up to 23 baby rats per litter. Female rats can fall pregnant within 24 hours of giving birth if not separated. A lot can go wrong especially if the parents have been poorly bred. Breeding can be expensive, and finding homes isn’t always easy. A lot or research needs to be done before you even consider breeding. Not all pet shops will take in babies, as they either have enough already or they have set breeders (often snake food breeders) supplying the store. They are extremely clean animals, one rat will perform a full body groom about twice the amount of times a pet cat would each day. They don’t carry deadly diseases as some people believe. They are more likely to catch something from you than you are off them. Myco: A respiratory infection, rats are often born with it symptoms can include; breathing problems, wheezing, rattle chest, loss of appetite, weight loss and discharge from eyes and nose. Antibiotics can be issued from vet clinics. Antibiotics will not always cure Myco, but will improve the quality of life to your little friend. Cancer: More common in female rats than male, if the rat is an older rat, sometimes they wont recover from surgery. Best to seek advice from a vet, or a breeder. Parasites: Mites and Lice are the most common form of parasite. They can also get fleas, ticks and internal worms. Mites and lice bury themselves into the skin leaving small scabs and sores all over the rats body, ears, tail and nose. The ears and tail may be 'crusty' it is not from rats playing too rough as some people may think. Mite and lice sprays from pet shops (even if it says for small animals) are not recommended. Using the sprays on the rats directly has been a cause of concern and has been linked with rats getting sick and some have thought to have died from these products. Rats can catch parasites from close contact with other rats, pets and humans and from using natural products (hay, straw, branches, wooden boxes etc.) in or near the rats. There are simple ways to cure it, a visit to a vet is recommended. Skin: Some problems can be difficult to determine if it is coursed by parasites, infection, physical injury or irritations. Poor diet, allergic reactions and long nails are another course for skin problems. intake can help. Limit dog and cat dry food (especially cat, kitten, puppy or active/working dog varieties) A light or mature super premium dog kibble can be added in small amounts, avoid sunflower seed, nuts, dairy products and meat. Pails Eye: There is no formal name for this, it originated in a large colony of 'feeder rats' (snake food bred rats) who through inbreeding and cross breeding bred some lovely looking rats, however tend to have a lot of 'porphyrin' (red mucas, sometimes mistaken as blood) discharge in the rats eyes. These rats have been known to carry other health issues such as heart attacks and late onset aggression. A lot of people do not know the differences from buying a rat from a breeder compared to a pet shop. It is no different to buying a puppy in the same comparison. There are Pros and Cons from getting your little friend from both. Although the Breeder far outweighs the Pet store. Do your research, do not be afraid to ask questions and make a careful decision on where you get your little friend from. The Pros of the Pet store. Usually cheaper, convenient and usually have rats available without having to wait. The Cons of the Pet store. 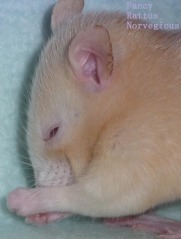 Unsure of the rat’s history, health problems and temperament. A lot of Pet stores are not fussy about the condition of rats such as if they are heavily inbred, have no history/poor history or even show aggression. They rely on people who impulse buy or do not know rats can come from breeders. The Cons of the Breeder. Some Breeders breed for snake food as well as pets, therefore there isn't that focus on bettering the animal. Breeders do not always have babies available when needed/wanted and waiting lists are common. The buyer may need to travel a lot further to get their rat from the breeder as opposed to going to the pet shop around the corner. The Pros of the Breeder. Knows the history, health background and temperament. Knows more about how to keep healthy and happy ratties. More variety in colours, patterns and Coats. Are kept in better conditions with larger cages and proper food. Rats are handled and given more attention. Breeders are more likely to answer your questions with more accuracy and detail. 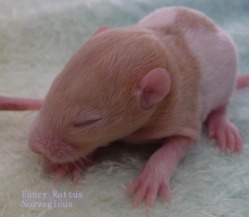 Most breeders (such as this one) breed for the love of the animal, to better the health and temperament and to continue to project a positive image of rats as pets. The domestic Brown rat is most often called a "Fancy Rat". The Rats raised for pets today descend from the "Brown Rat", Rattus norvegicus, that colonized Europe in the 18th Century. Being that the Brown Rats are larger and bolder they have pretty much taken over the position held for centuries by their cousins the Black Rats. The "Black Rat" are the carried the fleas that in turn carried the Black Plague all over Europe, these were not the Brown Rats kept as pets today. The Brown Rat was first used for blood sports and later in laboratories for experiments; so they have been bred down thousands of generations to be docile and friendly towards humans. The blood sports required hundreds of rats to be caught, then places in a ring, then timed how long it took the terrier dog to kill all the rats. When unusual marked rats and albinos were found, they were kept and bred from. This sport flourished for almost 70 years, later the albinos were used for lab purposes. Having such a long history in the care of humans they have become docile, loving, friendly and loyal animals; Making them a very good choice of pet for children, adults and everyone in between. They are quick to accept you and your family as part of their family.